Young children are innately curious. Much more so when you are finally able to put your feet up for a few minutes. It often starts with a sweet, “Mom…?” and careens into a full-blown series of questions from “How does a blender work?” to “What is quantum physics?”. Science…the natural world, how things work, the fundamental rules of physical existence. So fascinating yet so overwhelming to teach. Can you blame homeschoolers for dreading to teach it? Many homeschooling parents have asked us how to harness their child’s curiosity into actual, daily science lessons. We can help! Read on! From bugs to stars, dinosaurs to table salt, there’s so much to learn about the world and thankfully, not all of it needs to be reproduced faithfully through painstakingly accurate experiments. Many young children–tweens too–love collaborative learning. 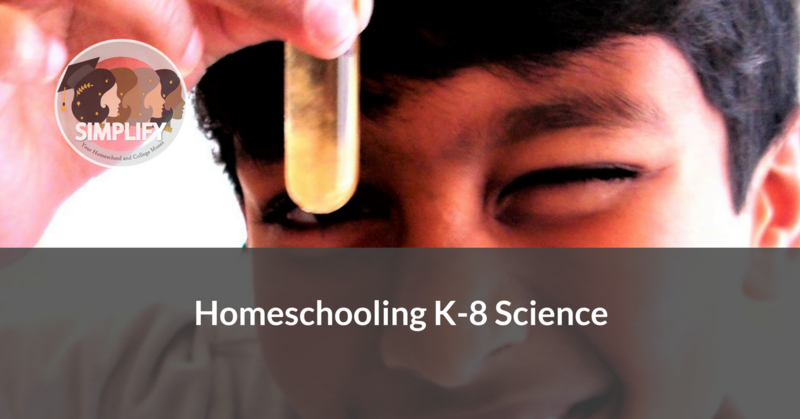 Even if you cannot find a homeschool science class, there is so much you can do at home. Dive into books! Don’t worry about topics or reading plans. Curiosity does not usually follow a plan! Choose anything that catches your eye, or better, be guided by your child’s delight. Let them bring an armload of books home from the library each week. Your tween might enjoy a science magazine subscription. National Geographic and Discover for example, publish versions for kids. Muse features articles about both STEM and the arts. Kazoo inspires young girls to be unapologetic about their love of science. Give science encyclopedias as birthday gifts! If you are worried about leaving gaps in your child’s knowledge, use the encyclopedia as a “spine” and pair well-written library books with each chapter or key topic. The encyclopedia will guide you while the books provide the “meat”. If your child agrees, let them write about what they are reading. If they won’t, you can always write it down for them. If your child loves getting their hands dirty, wear good shoes, grab a sketchbook and head outdoors for nature studies. Mark a square foot of dirt and observe bugs or catch leaves falling in the wind. Teach your child to observe carefully when drawing a specimen. Buy them an inexpensive loupe if you can. Or if your child is too young, keep a nature journal together. Don’t worry if you can’t answer a question immediately. Soak in nature’s beauty first, write the question down, then head home to find answers together. Make this a habit whenever you can. If you live in an urban jungle, despair not! Look for weeds, head to a park, lie back on the grass and gaze up at clouds. The kitchen can be an incredible mini science lab for young children. Cooking together, measuring ingredients, mixing batter…all of these incorporate real-life math and science applications with the added benefit of introducing your child to life skills at an early age. Worried about the mess? Keep an old tablecloth or a large bath towel handy to scoop away anything you wouldn’t want to serve for dinner. Buy science kits as birthday gifts! No excuses now! Dust off the science encyclopedia you bought for last year’s birthday and read a chapter together prior to using the kit. Homeschoolers tend to have dozens of Amazon shipping boxes laying around. Grab a few and make it a habit to save little household items like rubber bands, straws, Popsicle sticks, paper clips, magnets, food coloring, and unused coffee filters inside. Label the boxes and store them in a handy place. If you have the things to do science with, you will be more likely to actually do the science. Strike while the iron is hot…is your kid asking you a bunch of questions? Say, “Let’s find out” and put down what you are doing (unless it’s the baby). Whip out the science kit or thingamajigs you saved in those boxes, fire up the laptop, and google how to discover the answer together. Come up with a hypothesis. Set up a simple experiment while interest is high and see if your child can suggest a conclusion. Don’t insist on lab reports for a 10-year-old. Discuss the experiment, scribe the steps for your child, and talk about it at lunch tomorrow. There is plenty of time to revisit the topic again in the next few years for actual lab reports. The best science curriculum is the curriculum that gets done. Don’t spend too much time or money on curriculum if it sits more often on the shelf than under your kid’s nose. Keep it simple and realistic. Children learn so much from real life and the library. No flashy curriculum is good enough if you are too busy or intimidated to use it. Honestly, yes, I am advocating TV. But hear me out! When yours truly was so overwhelmed about teaching science in the younger years, I solved my fear by turning to popular science. Yes, I admit that it felt like I was copping out. But it turned out the be an amazing opportunity for my child to learn from experts like David Attenborough (we loved his Life series), Brian Greene, Michio Kaku, and Neil deGrasse Tyson. The National Geographic and Nova channels often cured us both on sickly or gloomy rainy days and I learned quite a lot of science myself! Documentaries can become a lovely family tradition too. Every movie night, grab a bowl of pop corn (or better still, discuss the science of pop corn while eating it). Gather the kids around. Choose a nature or other science-themed documentary to watch. Assign one kid to be note taker if willing. Don’t be afraid to question the veracity of what you are watching. Sometimes, questioning what you are watching might encourage you to finally crack open the science kits (or expensive curriculum on your shelves!). The key to teaching science to young children is often learning it with them. Allow yourself be infected by your child’s inquisitiveness. Delight in the joy of learning science together. Make it a habit to “talk science” at the dinner table or while in the car on the way to homeschool park days or other activities. Your own interest and participation can be the catalyst your child needs for a lifelong journey of wonder. Once wonder grows strong, they will be so much more receptive to the harder ideas and concepts that they will encounter in high school. And speaking of high school, look for our tips on Homeschooling High School Science! And as always, don’t hesitate to get in touch if you have questions.